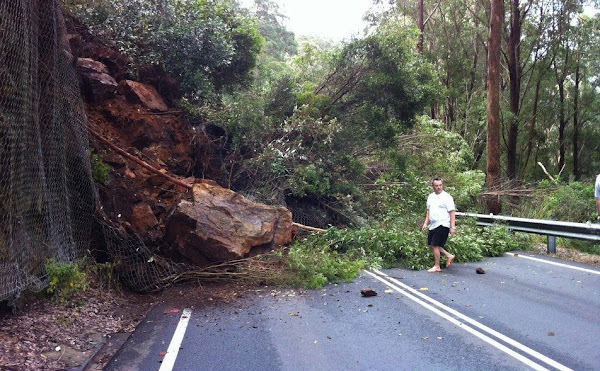 Roads and Maritime Services (RMS) has confirmed road closure times for slope stabilisation work on the Kings Highway at Clyde Mountain. Road closures will start on Tuesday 28 May 2013, weather permitting. The closures will be continuous from 8am each Tuesday to 5pm each Thursday for five weeks, weather permitting. The last closure will be on Thursday 27 June 2013, weather permitting. The closures are needed to ensure the safety of motorists and workers while slope stabilisation work is done. RMS has prepared an Issues Register that outlines the feedback received from the community and RMS’ consideration of the feedback. In response to feedback provided, the start of the closure time has been pushed back to 8am each Tuesday. For more information on the project, road closures, detour routes and feedback received, please visit the project website. Thank you for your patience while this essential work is completed.